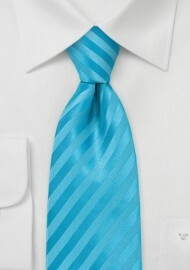 For a fresh update on your fashion sensibilities, we suggest this jewel toned striped tie in aqua blues. These wearable shades of blue are impossible to resist. Mix and match these fabulous tonal stripes with neutral shades to create the season's hottest look. 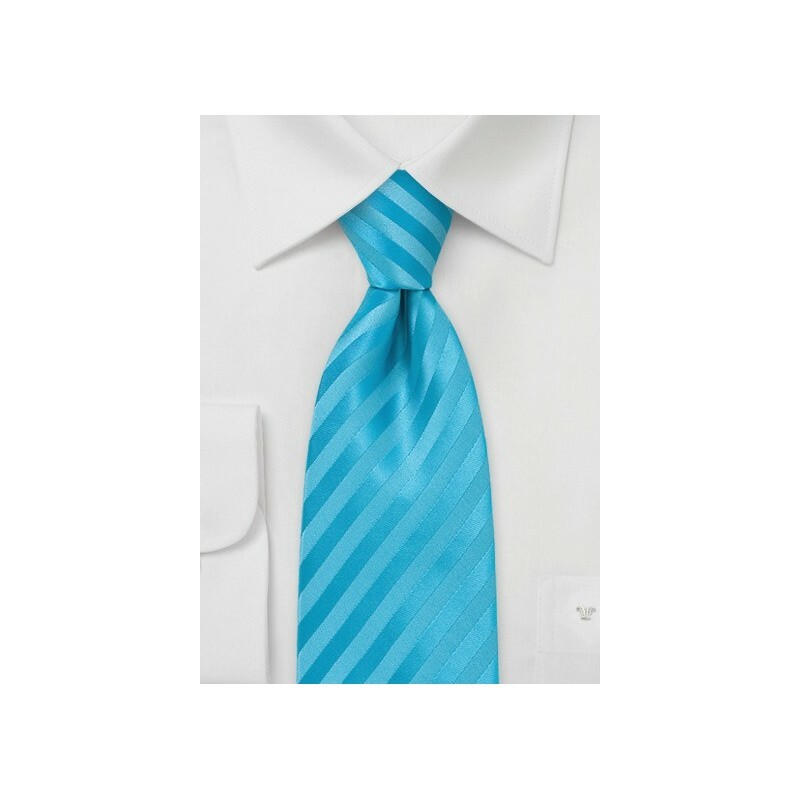 For a guaranteed handsome look, pair this tie with a white dress shirt and dark grey suit in wool. This tie is made from a wrinkle free microfiber.